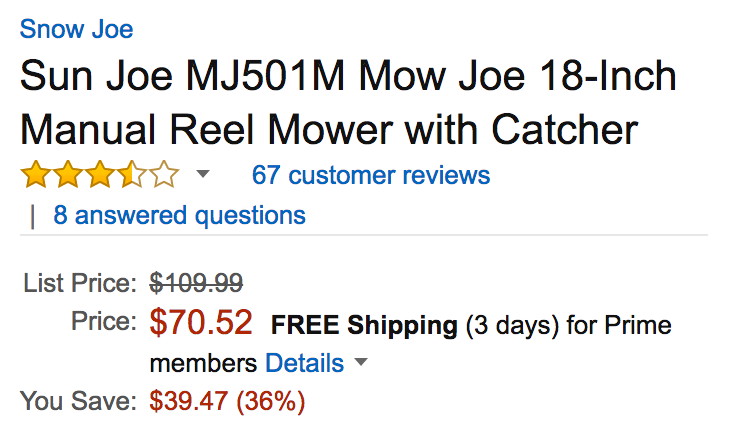 Amazon offers the Sun Joe MJ501M Mow Joe 18-inch Manual Reel Mower for $70.52 shipped. That’s a $39 savings off the original price, down $20-$30 from most online retailers and an Amazon all-time low. Sun Joe’s Reel Lawn Mower has a nine-position height adjustment system and a grass catcher that holds up to 6.6-gallons of trimmings. Rated 3.7/5 stars.